Paramount Destination will be happy to answer questions from our rental guests about their vacation rental property, the reservation, payment and our rental policies. Please call our office between 9:00AM-5:00PM, 7 days a week (866) 753-3045. Guests who are, or will be, staying in a property will have the first opportunity to pre-reserve for the next year as long as they submit their Advance Reservation Request form with payment before they check-out from their vacation rental. After that time, future guests who wish to reserve the same house or condo may may submit an advance reservation for their desired stay dates. The fee is $50 (plus tax) per rental week and this fee is not applied to the rental balance; the fee must be paid by personal check or cash. Guests are welcome to contact our office to get an estimate of this year’s rental rate for the equivalent week they are interested in (but this is not a guarantee of pricing) for the upcoming year. For those with an Advance Reservation, the lease agreement will be sent in mid-October with the first rental deposit due within 10 days. If a guest does not make payment for the reserved week, the reservation will be cancelled. The Advance Reservation fee will only be refunded if the homeowner wishes to have the same week(s) or if the property is no longer in the Paramount Destinations’ rental program. All reservation cancellations must be in writing by fax, email or letter. If the leaseholder has purchased Travel Insurance and the reason for the cancellation falls within the conditions of the Insurance Policy, please contact that company* directly after notifying Paramount Destinations. If the leaseholder did not purchase Travel Insurance and still needs to cancel the vacation reservation for any reason, Paramount Destinations will make every effort to re-rent the property, depending on how much advance notice is received in writing by fax, email or letter of this cancellation. In the event a reservation is cancelled and the property is not re-rented during the entire term, then the entire rent payment made by the rental guest(s) will be forfeited. If the property is re-rented for only a portion of the original rental period or at a reduced rate, the only refund due to the rental guest(s) will be those funds in excess of the original rental rate, less a $300 (plus tax) cancellation fee and any other additional non-refundable fees as described in the Paramount Destinations Vacation Rental Agreement (Item 10). This refund will be payable within 30 days after the subsequent re-rent payment has cleared the account. *RedSky Travel Insurance is offered on the Vacation Rental Agreement (Lease) when it is sent to the leaseholder to be signed. 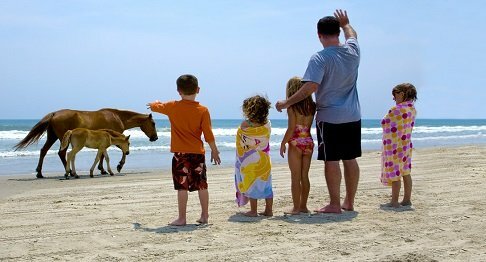 It is highly recommended as travel insurance as it is the only way to protect the vacation investment from most unexpected events. The Vacation Rental Agreement will be calculated with a non-refundable $125 Damage Protection Plan (also known as Security Deposit Waiver). This plan covers unintentional damage up to $1500 to the rental unit interior that may occur during the leaseholder’s vacation, provided this damage is disclosed to Paramount Destinations prior to check-out. The leaseholder assumes full responsibility for any damages that exceed $1,500. Full details of the Damage Protection Plan coverage are contained in the Description of Coverage/Insurance Policy. Certain terms and conditions apply. When the leaseholder submits payment for this plan, it authorizes and requests RedSky Insurance to pay directly to Paramount Destinations any amount payable under the terms and conditions of the Damage Protection Plan. 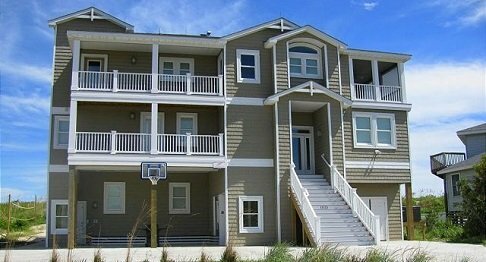 In lieu of the Damage Protection Plan, the leaseholder may pay a $1,000 Security Deposit which is refundable within 30 days after the vacation ends, provided there is no damage to the rental unit interior and furnishings. 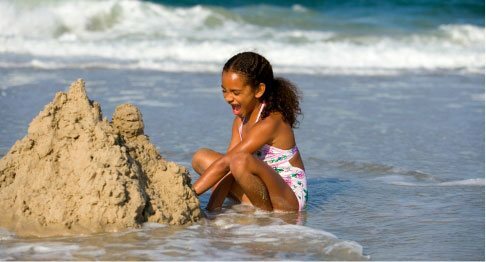 Paramount Destinations rents to family groups only and the premises is restricted for use by the leaseholder and related family members such as parents, siblings, grandparents, children and extended family members vacationing at the property. The leaseholder must be in residence at the vacation property for the entire rental period. The minimum age for the leaseholder is 25 years old. The use of the rental property by fraternities, sororities, and unrelated groups is strictly prohibited. There is a $35 fee to return items (up to 3-lbs) to the guest that were left behind in a rental property. Other shipping charges will apply to return heavier and bulkier items. Dogs are the only pets allowed in rental properties that are advertised as pet-friendly. There is a 2-dog limit although some homes may allow a third dog upon request for an extra fee or security deposit. Also, some properties have a weight limit of less than 50-lbs per dog. No homes or condos are guaranteed to be hypoallergenic. A guest with a Service Dog must notify Paramount Destinations at the time of booking whenever possible and prior to the check-in date at all times. We follow the ADA (American with Disabilities Act) definition for Service Dogs which means any dog “that is individually trained to do work or perform tasks for the benefit of an individual with a disability, including a physical, sensory, psychiatric, intellectual, or other mental disability. Other species of animals, whether wild or domestic, trained or untrained, are not service animals for the purposes of this definition. The work or tasks performed by a service animal must be directly related to the individual’s disability.” Therapy dogs, emotional support dogs and companion dogs are NOT Service Animals as defined by the ADA. Private pools and hot tubs are available at your own risk to the leaseholder and their family group. Children must be supervised at all times in and around pool and hot tub areas; children younger than 14 are not allowed in hot tubs. Dogs are never permitted in the pool, hot tub or pool area. Many homes have outside showers; it is recommended showering off before using the pool and/or hot tub. The pool vendor is under contract with the owner to balance the chemicals during the mid-week service only (either Tuesday or Wednesday). If the pool or hot tub requires additional treatment due to mis-use, this service will be charged to the leaseholder. All homes and condos have a landline telephone, cable or satellite television and internet service including Wi-Fi. Because these services are provided by a third-party vendor, Paramount Destinations cannot guarantee connectivity, service or internet speed. Every effort will be made to troubleshoot and resolve connection problems if they occur. In some instances, a service appointment may be needed for the vendor to correct the problem. No refunds can be made to the leaseholder due to the lack of service. Occasionally, there may be a storm that could affect your vacation. Travel insurance is the only way to protect your vacation investment if there is a mandatory evacuation* declared for Dare or Currituck Counties, especially during hurricane season (June 1-November 30). *If a mandatory evacuation is declared: incoming guests will not be allowed on the Outer Banks and current guests will be asked to leave by each County’s Emergency Services Management.